Thinking of the perfect theme for your wedding reception, corporate event or birthday party can sometimes be difficult, as it’s natural that you’d want everything to be perfect. Achieving that theme, however, can be even more challenging, as there are many different elements that you need to think about and bring together in order to set the perfect scene. Once you see the final product you’ll be glad for all the sweat and tears that went into ensuring it became a success! It may be easier said than done, but this is a good way to ensure that the decorations pop out and your guests enjoy themselves. 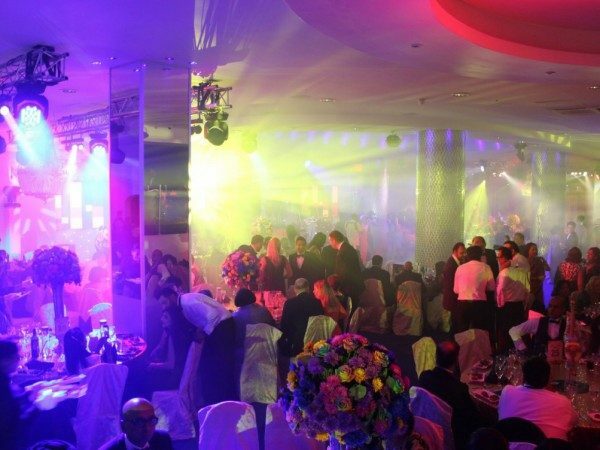 Transforming your event into something memorable depends on the lighting you choose. After all, light and shadow creates attractive contrasts that can highlight anything you want, from the décor to the radiant bride. That’s exactly what we did for a wedding reception with the theme of Winter Wonderland, where we knew that lighting could make or break it. Subtlety, beauty and style; we strived to emphasise these values through our lighting options, so that the delicate elements that made up the scene, such as the trees and floral arrangements, were highlighted. Light and sound are key components in every event, especially if you want to capture your guests’ attention, but equally important is creating the perfect stage. Not only is the choice of venue crucial, as that will determine what you can and can’t do, but the aesthetics of the stage should be something you consider as well. 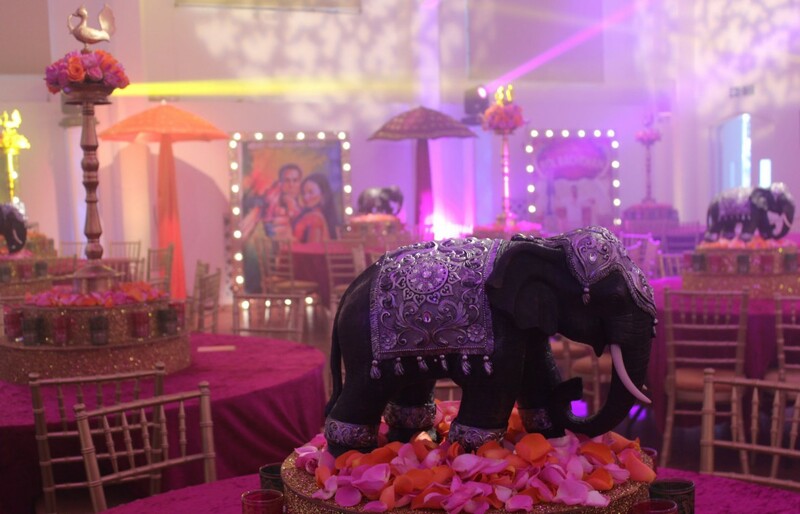 Where you place decorations, the way the stage is shaped, the colours you choose… everything works together to create theme you want. For the Winter Wonderland, soft and pastel colours worked well to create a wintry ‘landscape’, as did the shiny floor which was reminiscent of a frozen lake. The only way to ensure that your theme is unique and special is by adding personal touches! Go with something you really love, like your favourite movie or book, and include details that clearly showcase who you are and what you like. Even if you opt for something that is currently trending, like a Pokémon GO-themed party, or if you choose a seasonal theme like winter or summer – or a fun, colourful theme surrounding Bollywood – you can still make sure it represents you as a person. Your theme will be one-of-a-kind and your guests will love it! At Pro System Services we strive to provide you with the best possible event you can dream of! If you need our expert lighting, sound, video and stage production services, as well as LED video walls that can make your event stand out from the crowd, we’re at your disposal and would love to discuss your needs with you, so get in touch with our dedicated team today and we’ll help you create the perfect theme. We’re also on Facebook, so head on over to take a look at what we’ve been up to!